Below is a list of modifications made to my recently-acquired WR250R, done by the previous owner. Over the forthcoming months I shall be making further modifications – removing or swapping current parts and adding others – to maximise the bike for lightweight overlanding, whilst maintaining it’s inherent capability as an off-road machine. Having not ridden a stock WR250R, I cannot make meaningful comparisons for some of these mods. Furthermore, until I have ridden the bike extensively on a variety of terrain, I will only be able to make superficial observations. That said, my XT660Z Tenere – albeit a heavier bike – shares many characteristics as an overlander and I can draw on my 30,000 miles experience riding it through South America to help me select the mods I want on the WR250. As the project progresses and I get to know the bike better, I shall periodically update this list. For any WR250R owners reading this who have modified their machines, please feel free to leave comments, sharing your experiences and ideas to help me improve my bike. Engine – Thumper Racing 280 Big Bore Kit. Perhaps the most significant mod is the increase in engine capacity to 280cc. I can’t compare the current engine’s performance to a stock bike. However, I am surprised how forgiving the engine is at lower revs – definitely more torque in the lower rpm range (and helped with a 48-tooth rear sprocket) than other 250s I’ve ridden. Vibrations are negligible. My big question is its reliability – and thus whether I would be prepared to take a bike with this mod on a trans-continental trip – no reason to assume it will be a problem, but I’ll need to get some miles on it to know more in this regard. Exhaust and Header – FMF Q4 and Megabomb Header. From reading a lot about the WRR, I get the impression this is the go-to exhaust mod; it seems thoroughly tried and tested. I’d prefer a few less decibels when spending many hours a day in the saddle, or when riding through villages and countryside in foreign lands where I want to ‘blend in’ as much as possible. I’ll be looking at the option of installing a DB killer. FI Programmer – Bazzaz Z-FI Fuel Controller and Z-AFM Self Mapper. I have more to learn about the Bazzaz unit. However, already I like one capability it offers – when coupled with the Self Mapper, it can be tuned via laptop software without the need for a dyno. The O2 sensor, fitted in the header, gathers data whilst riding which is then made available through the Bazzaz software on a laptop and allows adjustments to be made to the FI Fuel Controller. Fuel tank – Safari 14L Tank. 14 litres is sub-optimal for overlanding, but I nevertheless plan to keep this tank fitted to the bike. Whilst the IMS 4.7 gallon tank would provide more extended range, I want to keep the bike streamlined and agile and think the large IMS may add too much bulk. I am interested in the idea of pairing a Camel Auxiliary Tank (6 litres, rear–mounted) with the Safari 14L, as an option for increasing range whilst keeping the front of the bike relatively svelte. Fairing – Safari Rally Fairing. The Safari Rally fairing coupled with the 14L tank brings two advantages – very good wind protection and ample space to create a well-organised cockpit. The most pleasing aspect for long 70mph rides is the lack of buffeting; wind is kept off the chest without putting noticeable turbulence on to the helmet. The helmet is not quite in 100% clean air, but compared to the Tenere it is positively tranquil. Seat – Seat Concepts, High. Not as comfortable as a good seat on a larger bike, but I had no issues with it during a 400-mile, 10-hour day of highway riding. The High variant is 1 inch taller than stock; the WRR is a tall bike to start with so this seat puts me on my toes (I’m 6 foot). For me, being able to get a solid foot down is important when walking a loaded bike through difficult terrain such as rockfalls, or u-turning / reversing the bike on sloping ground. I will consider switching to the Low variant of the Seat Concepts seat, which is 1.75 inches lower than the High variant. Head Light – Cyclops H4 LED HIghlight Bulb. I would expect the stock headlight to be sub-optional for night riding. With this 7000 lumen LED upgrade, however, it is quite impressive for a small light. Spot Lights – Denali D4 Flood and Spot Hybrid. Whilst the LED upgrade in the main beam provides pretty good illumination, I still want spots – as a back up if the main beam fails, to make me more visible to oncoming traffic and to give me better visibility when riding at night. These Denali’s are monsters and extremely effective – in fact, I feel they are overkill for such a small bike. I’ll be looking to switch them out for two smaller LEDs, one wide beam and one spot. Turn Signals – Not Known. Basic low-profile LEDs. Small is good, to minimise the potential for breaking stems. Bright is good, for safety. And LED’s can handle a lot of abuse. Tail Light – DRC Edge 2 with 12 oclock Labs Processor Upgrade Board. This is currently not functioning. The integrated turn signals are not of interest to me, but the pulsing brake light is – I believe in taking advantage of anything that makes the bike more visible to inattentive drivers. The website also states that the LEDs in the processor board are brighter than stock – another plus. USB Socket – 3BR Weatherproof USB Port. Essential for on-the-go charging of phones, cameras, tablets and the rest of the electronic paraphernalia we like to use. This model is very robust and watertight (with the cap on). GPS Mount – Garmin Montana. I’ve been using a Zumo 660 for the last few years, but with the this mount already fitted I may switch to a Montana. Phone Mount – RAM X Grip. I was skeptical about the effectiveness of this and wary of entrusting my iPhone to it. However, it proved to grip the phone firmly. I can see the utility of a this setup – GoPros, for example, are much easier to use on the fly through the phone app so having the phone mounted in front will make changing settings etc a breeze. The USB socket means it can be charged on the go. Gear Indicator – 12 oclock Labs Gear Position Indicator. Some purists say these are unnecessary and a waste of time, but I got used to having one on my Tiger and also fitted one to my Tenere, so I like them. This model seems to be pretty accurate and consistent. Speed Healer – 12 oclock Labs Speedo DRD. Pretty much essential if you change your sprockets and want an accurate speedo. It’s tiny. And it’s straightforward to programme. Hand Guards – Barkbusters with VPS guards and Bar End Weights. I used Barkbusters on my Tenere for over 30,000 miles of riding in South America. They survived numerous ‘offs’, protecting my levers; sometimes they required bending back into shape, but never failed me. Bar End Weights were fitted to reduce handlebar vibrations, as they are here; they made a difference on my Tenere and appear to do a good job on the WRR. Skid Plate – Flatlands Skid Plate. Another ‘go-to’ part for WRR owners, so I assume it is good. Seems very well constructed. Radiator Guard – Flatlands. An essential piece of protection in my opinion. In addition to providing forward-facing protection for flying stones, this guard has a lateral brace at the rear to protect from side impact. Front Sprocket Guard – Zeta Drive Cover. This guard works fine and adds a bit of colour to the bike. However, I would prefer to incorporate a case saver as well. Frame Protectors – Zeta Z Carbon Frame Guards. Partly cosmetic, but one of them serves to protect the rear brake master cylinder. Fork Guards – Light Speed Lower Fork Guards. A nice cosmetic touch with the carbon fibre. Exhaust Heat Shield – Dry Spec Universal Heat Shield. A must when using soft panniers. This one from Dry Spec provides a decent surface area of protection. 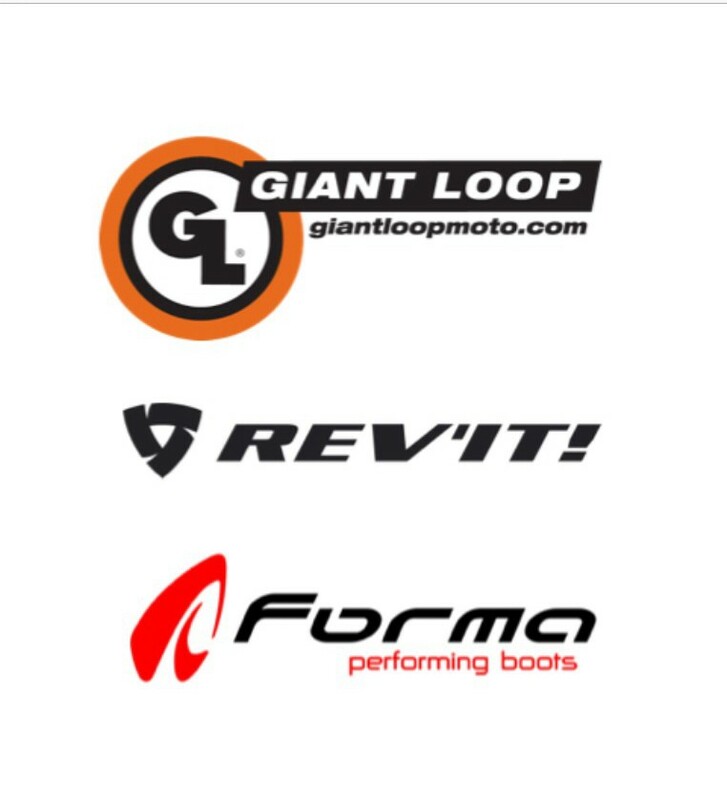 Top Chain Guard – Zeta Heel Guard. A nicely-engineered part, but for overlanding I would prefer a chain guard which provides more protection from oil flicking off the chain. Oil on your panniers, when they are regularly removed from the bike and taken into hostels, is not ideal. Headlight Protector – Parabellum. A cheap an simple perspex guard which doesn’t impact on the effectiveness of the headlight but still offers ample protection. Handlebars – Renthal RC High. Another part which has been tried and thoroughly tested on my Tenere after many ‘offs’ – not a scratch, never mind a bend. I wouldn’t trust OEM bars to withstand heavy abuse. The height of the RC Highs on the WRR, without risers, is almost perfect for me when standing. Handlebar Mounts – Pro Taper Universal Solid Handlebar Mounts. Necessary to accommodate the larger diameter of the Renthals. Heated Grips – Symtec Heat Demons. A must for adventure biking – one of my top priorities. Effective heated grips coupled with hand guards such as the Barkbuster VPS allow you to ride in lightlweight gloves even in cold air – a big bonus when climate changes quickly as it can in high moutain ranges, or deserts where cold mornings quickly give way to high temperatures. Throttle Tube – Zeta Aluminium Throttle Tube. Whilst I cannot compare directly with a stock WRR, this creates a very smooth throttle action which allows more control than I am used to on my Tenere. Brake Lever – Zeta Pivot Lever. More cosmetic than functional, I sense, but it looks like a very well-made lever. It can fold forward to limit damage in the event of a drop, but the benefit of this is somewhat cancelled out by the protection provided by the hand guards. I like short levers, so I’ll keep it. Gear Shifter – Driven Dirtbike Shifter. Not having seen the OEM shift pedal, I am not sure how important this mod it. Nevertheless, this shifter appears is well made, with a folding tip. Brake Pedal – DRC. As per the gear shifter. This one has an articulated tip, which I think is an advantage in an ‘off’. Having bent the brake pedal on my Tenere several times, I’ll be fitting a ‘brake snake’ to provide increased protection. Foot Pegs – Fastaway Evolution Air. Straight off I was impressed with these – they provide a broad and stable platform for standing up on with good grip. They appear very well put together – and look good to boot. How well they survive a sliding down a dirt track will be the true test. The ability to make running repairs when overlanding is critical; steel can be bent back into shape after a crash in the middle of nowhere – these are billeted aluminum. Break Hoses – Galfer Steal Brake Hoses. When your riding mountain roads in places like Peru, with all the associated hazards, good brakes are essential. Loaded up, the bike will be many kilograms heavier than a stock naked WRR, so I wouldn’t rely on the stock brakes. Short of fitting a bigger rotor and caliper (which I’ll look into), steel brake hoses are the obvious option. These Galfer hoses look well made. Front braking is not too bad in this format. Pannier Frames – Adventure Moto Unifit Side Racks. Very well made, designed to take a Rotopax mount. To keep the weight down, I’ll be removing these and using frameless soft luggage such as a Giant Loop Coyote. Rear Rack – Scaggs Billet Big Rack. Well designed, sturdy and compliments the lines of the bike. Tail Tidy – Not Known. Any self-respcting WRR rider needs to replace the stock tail light unit! A major improvement in looks, at the expense of protection from rear-wheel spray. Rear Sprocket – 48 Tooth. With five more teeth (48) than the stock rear sprocket, and with a stock 13T on the front, first and second gear are a bit short on the road. With the extra capacity in the engine and re-mapping, I am wondering if I may be able to drop a couple of teeth on the rear or add one at the front and still have enough pull when riding in the dirt – one to experiment with. Wing Mirror – Doubletake Adventure mirror with RAM Extension Arm. Does the job fine; easy to fold away and secure, but vibrations blurred it out about 60mph. The bike only has one on the left; I be fitting another on the right in due course.